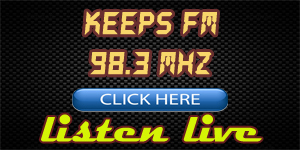 KEEPS 98.3 FM is one of the leading Radio stations operating in Kathmandu Valley (KTM, Nepal). The is one of the most tuned in radio stations and popular as top category media in Nepal. The station is operated by KEEPS MEDIA CONSULT (P) LTD which is situated in Kuleshwor-14, Parikrama Marga-81(with coverage area including Kathmandu, Lalitpur, Bhaktapur and nearby districts; Worldwide coverage via official website www.keepsfm.com). There is no New Talents. Become one?